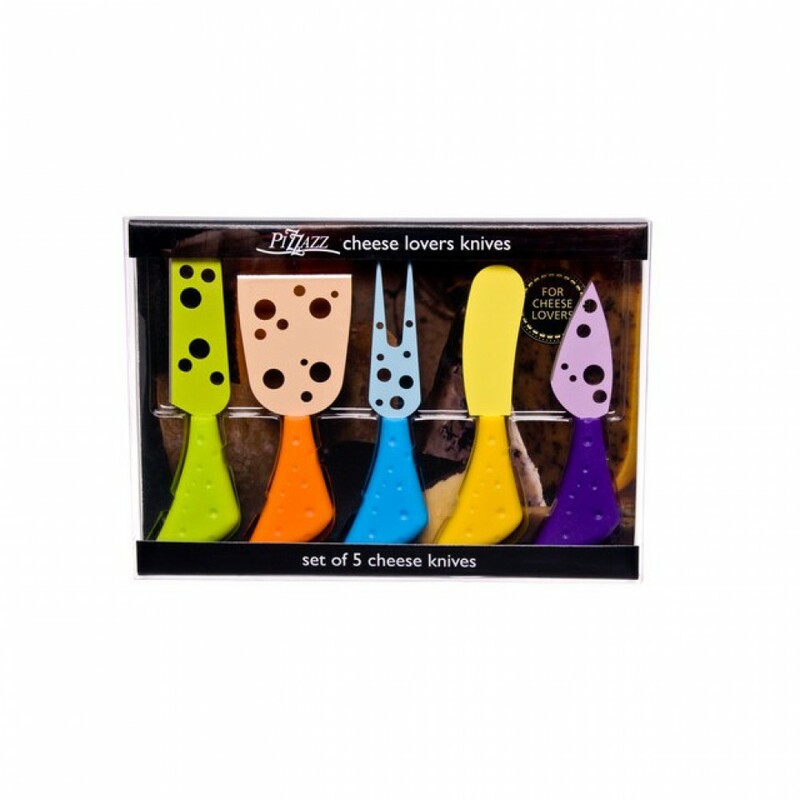 Serve brie, camembert, parmesan and more with the Cheese Lovers Knife Set. Each knife is designed for a specific cheese type and texture and are perfect serving tools for any occasion. 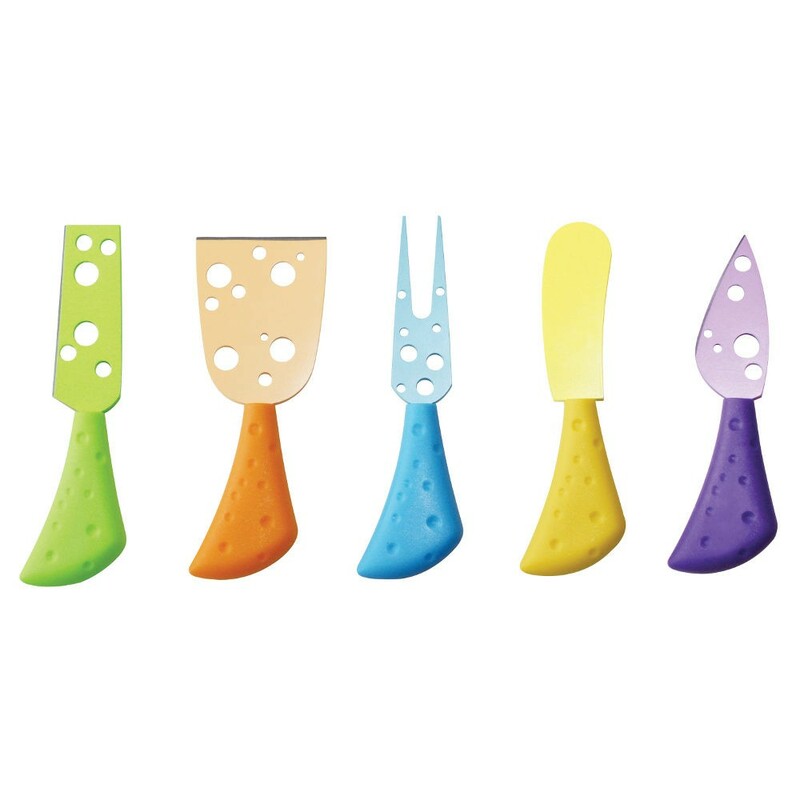 Features include stainless steel blades, easy to grip handles, holes in blades designed to prevent cheese from sticking and dishwasher safe.